ATTENTION INVESTORS! 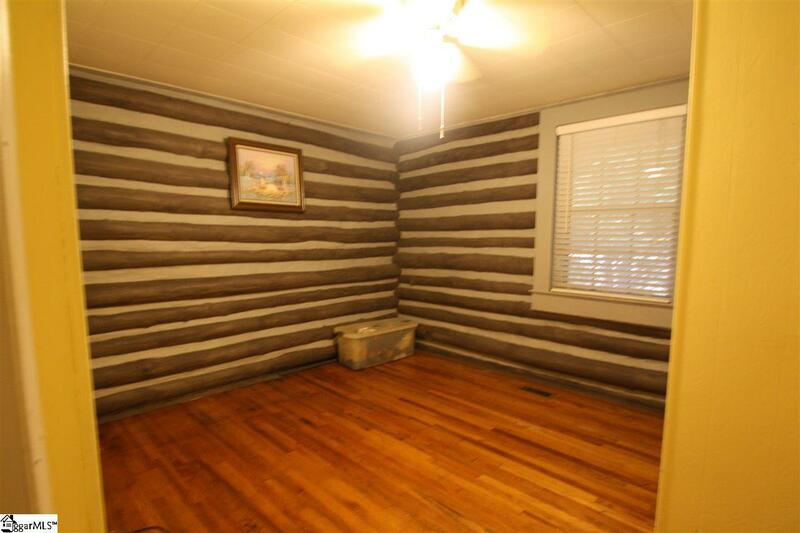 This unique "log cabin home in the heart of Taylors has endless possibilities! 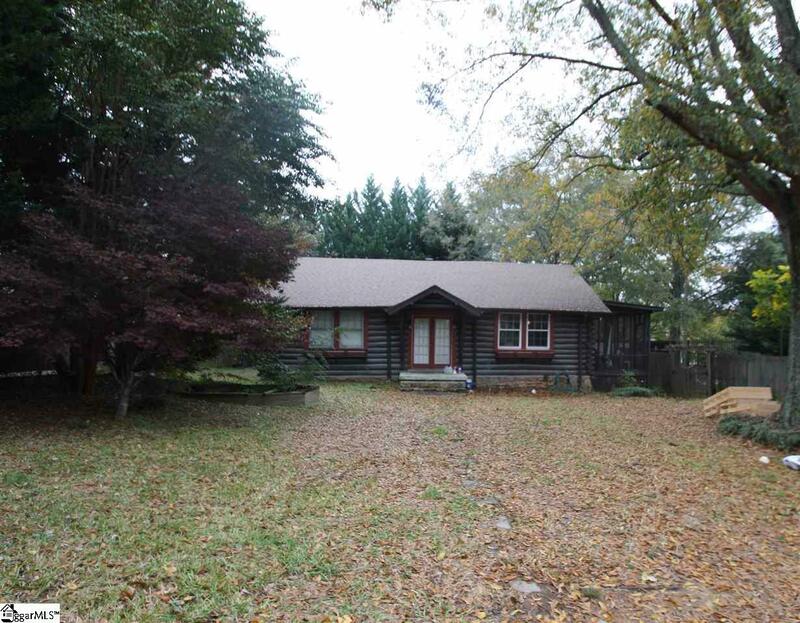 The setting has a country woods feeling and the home is set back off the road. As you enter the home, you are greeted by a large foyer area that opens to a wonderful living room, with vaulted ceiling and a huge sky light notice the beam! 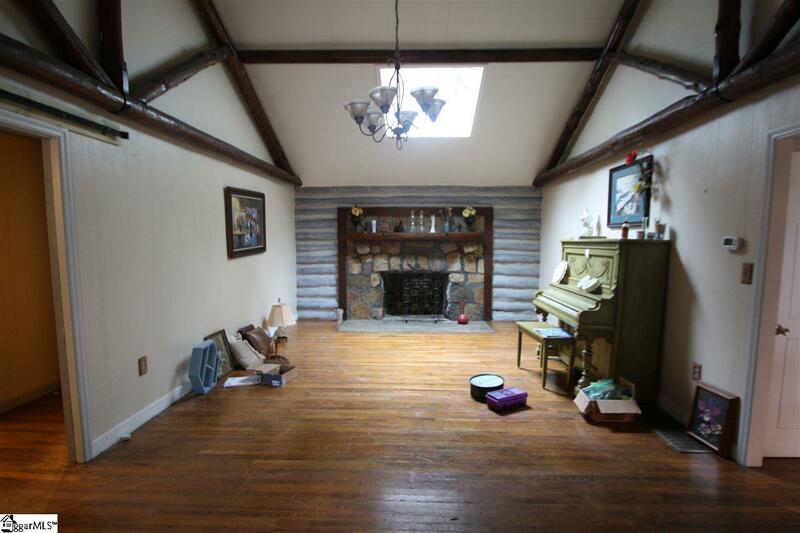 Straight ahead is the marvelous, wood burning, stone fireplace. 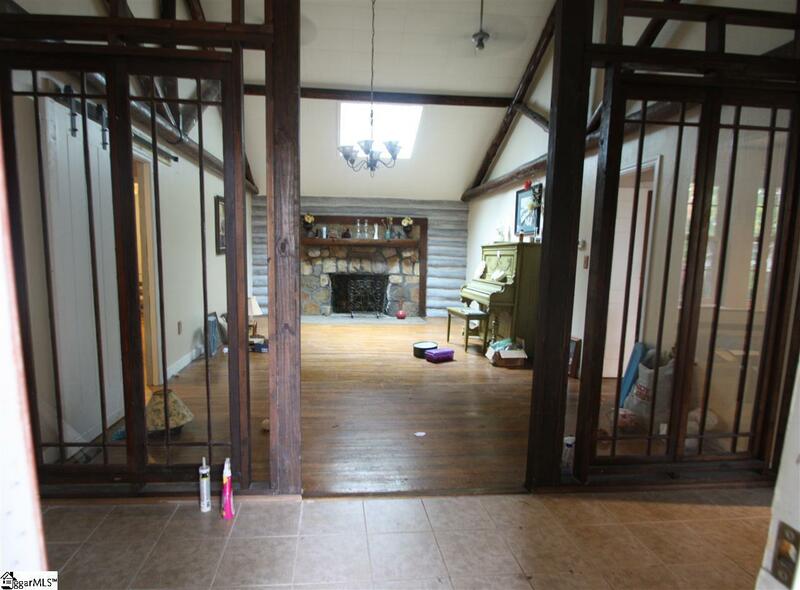 Hardwood floors in this area could easily be refinished. There are two bedrooms and a full bath to the left- hardwood floors in each of the bedrooms and newer laminate floors in the bath. To the right of the living room is the kitchen and dining rooms and off the dining room is the 2nd bathroom/laundry room combination. Off the dining room is a wonderful screened in porch, and a deck all overlooking the fenced in backyard. Roof and skylight were recently installed. Great investment opportunity! Call today for your private showing.